To characterize Ben & Jack’s as a Manhattan spinoff of Peter Luger, as many have done, is to sell the 13-year-old steakhouse short. 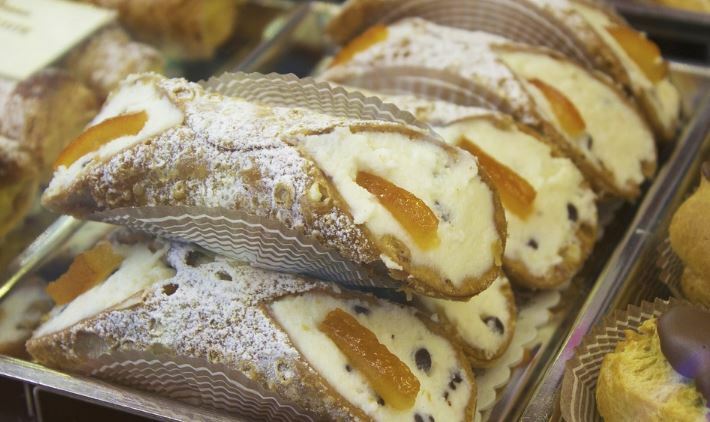 Yes, B & J was founded by alumni of the fabled Brooklyn restaurant, specifically waiters Jack and Russ Sinanaj, cousin Ben, and current owner Harry. 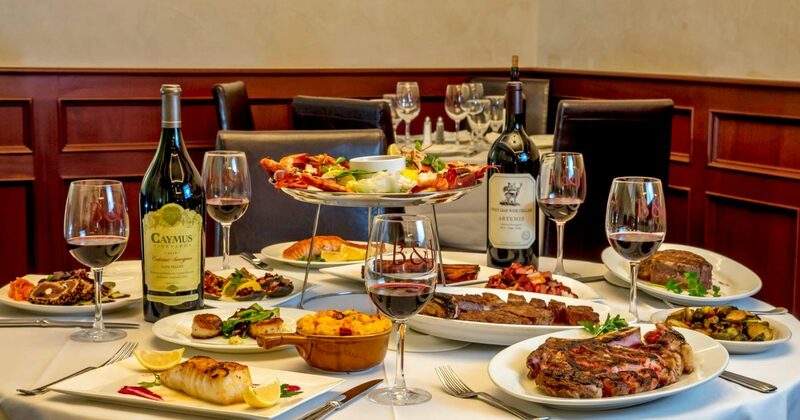 And, yes, it has embraced many of the trappings and traditions, right down to the bottles of house-branded steak sauce on all the tables and the generous dollops of Schlag that are de rigueur with every dessert. 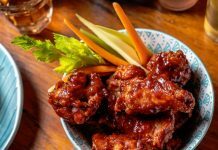 Yet, Ben & Jack’s exudes a personality — and menu — all its own that includes gestures toward (dare it be said in a review of a steakhouse?) healthier eating. 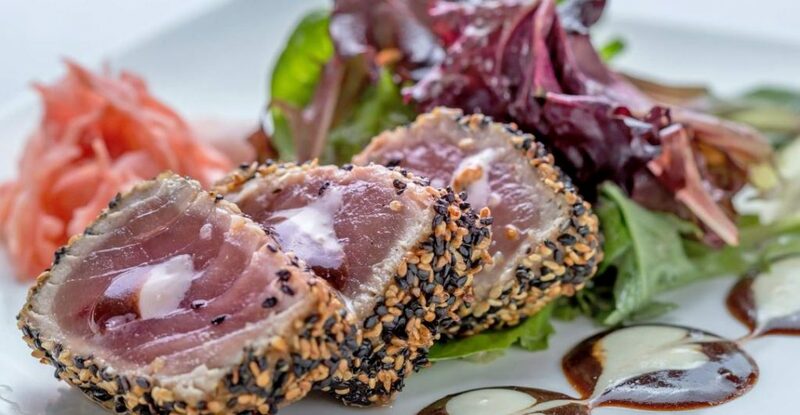 Witness this first course of sesame-crusted yellowfin tuna, thick slices of the beefy fish teamed with a wasabi sauce and balsamic reduction. The fish is immaculately fresh and may also be ordered as a main course. 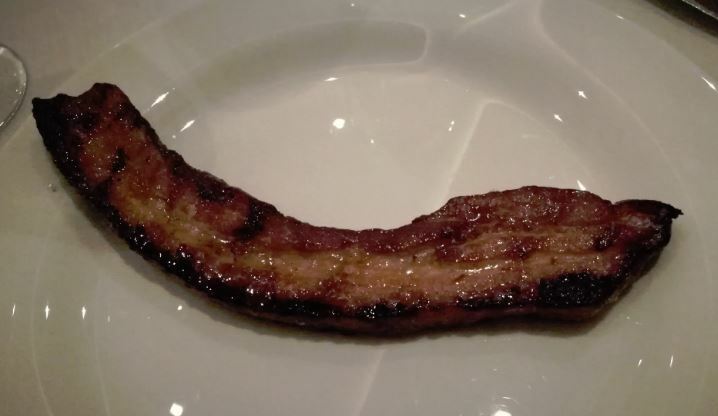 Naturally, you can go whole hog (make that “whole cow”) if you choose, starting with steakhouse staples like thick-cut bacon. And when they say “thick” they mean “thick”: about a quarter inch. 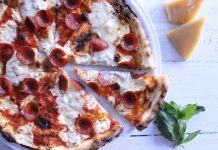 The savory meat achieves the perfect balance between smoky and sweet, and the ample charring makes it irresistible. 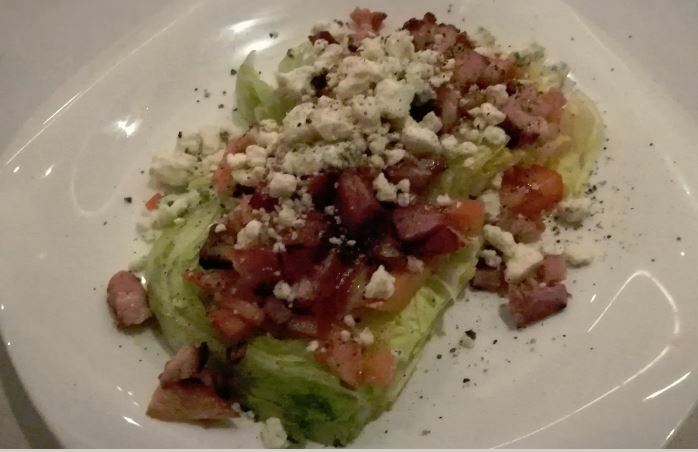 That good bacon appears again, this time in a supporting role, in the “bacon wedge” — a hefty chunk of crisp iceberg lettuce blanketed by tangy crumbles of blue cheese, shards of the salty pork, and diced tomato. Alternate forkfuls of the salad with bites of one of the house’s superb onion rolls and you have yourself a sublime BLT. Gigantic slabs of red meat are still the chief stock in trade, and here they are dry-aged, then cooked at near-blast-furnace temperatures. 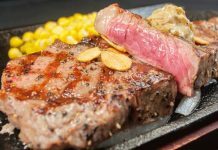 The result is steaks that are tender and flavorful. 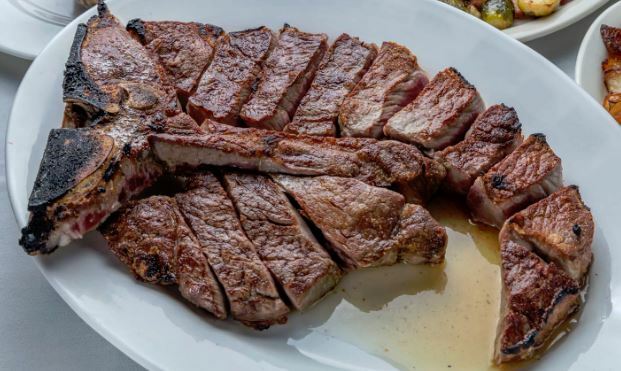 If it’s paler meat you prefer, you won’t go wrong with the veal chop — an immense knob of buttery meat that nearly extends beyond the edges of the platter it is served on. Admir Alibasic, the creative force behind the restaurant, has perfected a version of creamed spinach that is creamless, using the vegetable’s cooking liquor and chicken stock in place of the dairy, which intensify the spinach’s natural mineral essence. German fried potatoes translates to thin disks of the spud rendered brown and crusty, threaded with strands of sweet onion. 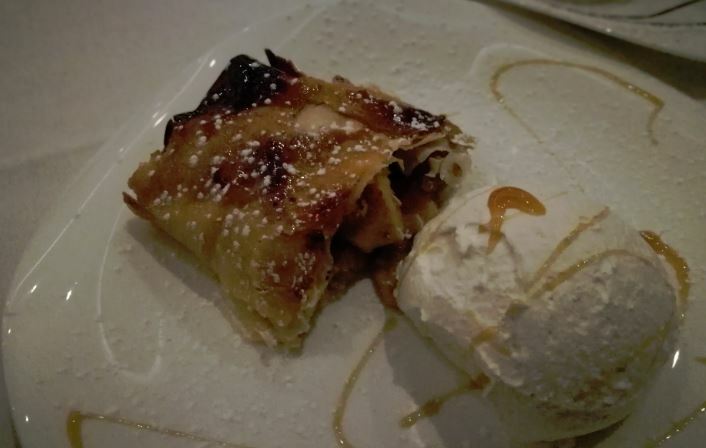 At dessert, you can give the dynasty’s Germanic roots their due by ordering the warm apple strudel, which, history aside, happens to be delicious — crisped paper-thin sheets of golden brown pastry encasing heavily cinnamoned apples. 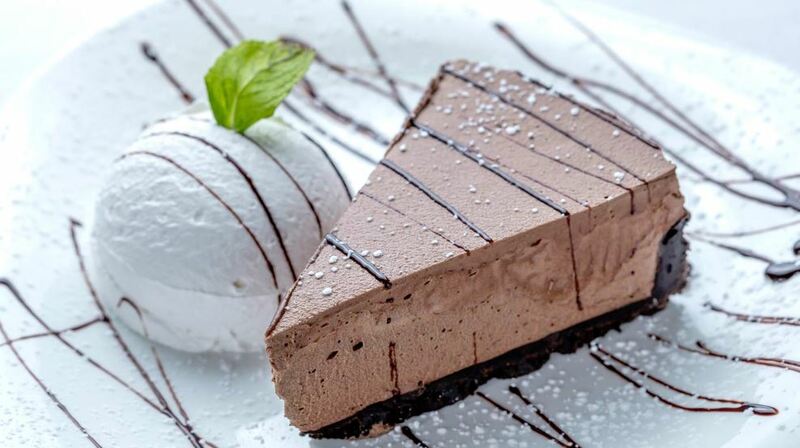 Nor will you go wrong with the chocolate mousse pie, creamy and rich on its foundation of crumbled chocolate snaps. The kitchen gilds the lily by drizzling the entirety with chocolate sauce. Polished wood walls and wainscoting combine with snowy white linens to lend the space a clubby feel. A bar adjoins the dining room but is segregated from it by frosted glass panels etched with the house’s logo. Service is attentive but never obtrusive. If you run out of topics to converse about with your dinner companions, you can always discuss the life-size golden bull at the back of the dining room. Price range: At dinner: $6 to $24 for first courses, $31 to $53 for main courses, $6 to $13 for sides, and $9.95 for dessert. Ben & Jack’s, 219 E 44th Street, 212-682-5678. Open Monday through Friday for lunch, dinner daily. Major credit cards are accepted.